The 1226 is the latest model of the New Balance 1220 series for men and women, as of the autumn of 2010. This shoe has extra cushioning for runners who need it — typically, runners who are heavy or who tend to overpronate. While there are as many different running shoes out there as there are runners, it seems, the New Balance 1226 combines several features to make this an excellent shoe for people who fit these two characteristics. The price is on the high end for distance running shoes, retailing around $140. The higher cost comes from the extra cushioning material; shoes with cushioning are at the high end of pricing for just about every shoe company. The features of this shoe that get the best feedback from runners are the heel cushioning and the airy mesh on the shoe’s upper. Also, the 1226 weighs slightly less than stability shoes from the competition — and every ounce taken away in weight means a better race, if the shoe still does its job. Most people offering a New Balance 1226 review have nothing but praise for the shoe’s upper. The mesh that runs across the top lets feet breathe and has plenty of give for when your feet expand after several miles. The toe box is wider than with most shoes (as is the case with most NB shoes). The lining along the tongue and inside the heel have a double layer, adding to comfort for runners. 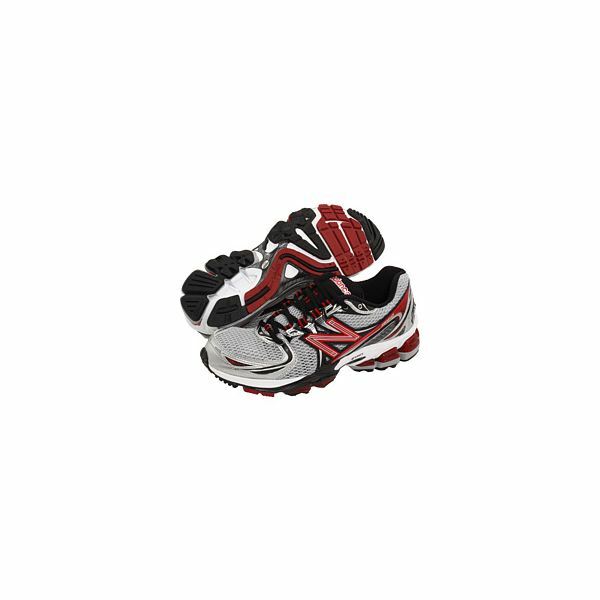 The structure of the shoe is designed to keep your feet in the optimal position once you start running. This part of the New Balance 1226 review concerns your foundation — the sole of the shoe. The lighter feel (at least according to New Balance) comes from the foam material — a patented foam called ABZORB. The company claims that this foam is up to 20% lighter than the foam that other shoe companies use to provide cushioning. The sole also features a "Stabilicore," running along the arch, from the heel to the toebox. This is designed to undergird your arch and fight overpronation. There is also plastic undergirding that controls the movement of your plantar tissue, to minimize occurrence of plantar fasciitis. There is significant cushioning throughout the underside of the shoe. Overall, the New Balance 1226 offers significant stability and support, while giving runners a lighter feel than stability/motion control shoes from the competition. If you are heavier or tend to overpronate, this could help you PR in your next marathon. Personal Experience — I will be running the Ft. Worth Marathon in my NB 1226’s. I’ve put about 150 miles on the pair I have now, in runs ranging from 5 to 20 miles. I would definitely use them again.